Bloom 3.1 has been released. The new release contains big improvements relating to the import of Exif information. 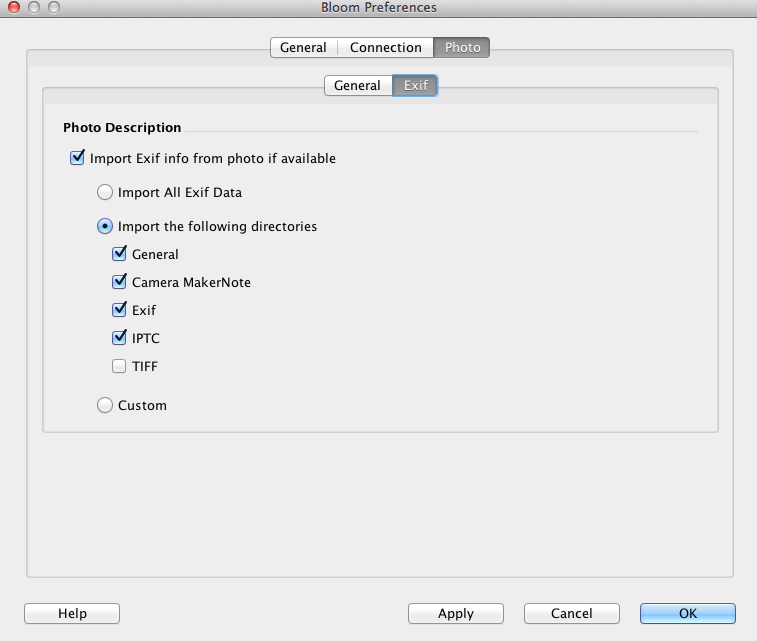 The photo preferences dialog has been rewritten to provide much greater control over importing Exif information into the photo caption. Here’s a screen shot showing what can be possible. Fixed adding caption to multiple photos.